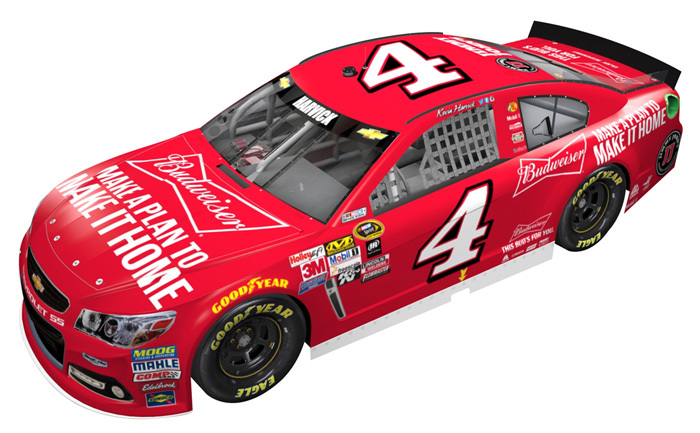 2015 Kevin Harvick #4 Budweiser / Make a Plan To Make It Home / Chevrolet SS NASCAR diecast, by Action. The Stewart-Haas Racing #4 Budweiser Make a Plan To Make It Home Chevrolet was raced by Kevin Harvick in the NASCAR Sprint Cup, Federated Auto Parts 400 at Richmond International Raceway on September 12, 2015. This diecast car is displayed on a clear base. 1998 Kevin Harvick #75 Spears Manufacturing / Chevrolet NASCAR diecast, by Action. 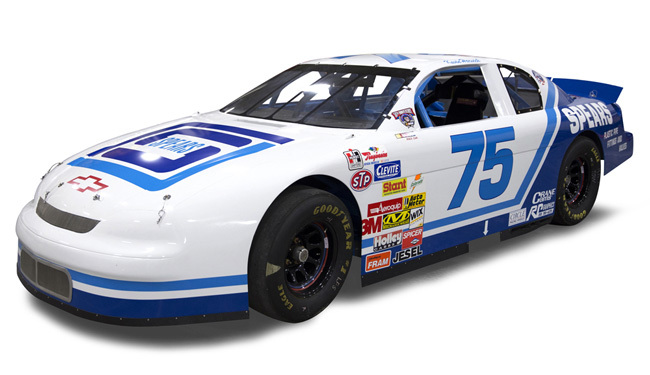 Kevin Harvick raced this #75 Spears Manufacturing Chevrolet to 5 wins during the season and the 1998 NASCAR West Series Championship title. This diecast car is part of Lionel's NASCAR Classics Series. 2015 Jimmie Johnson #48 Lowe's / Chevrolet SS NASCAR diecast, by Action. The Hendrick Motorsports #48 Lowe's Chevrolet SS was raced by Jimmie Johnson during the 2015 NASCAR Sprint Cup season. 2015 Jimmie Johnson #48 Kobalt Tools / Chevrolet SS NASCAR diecast, by Action. The Hendrick Motorsports #48 Kobalt Chevrolet SS was raced by Jimmie Johnson during the 2015 NASCAR Sprint Cup season. 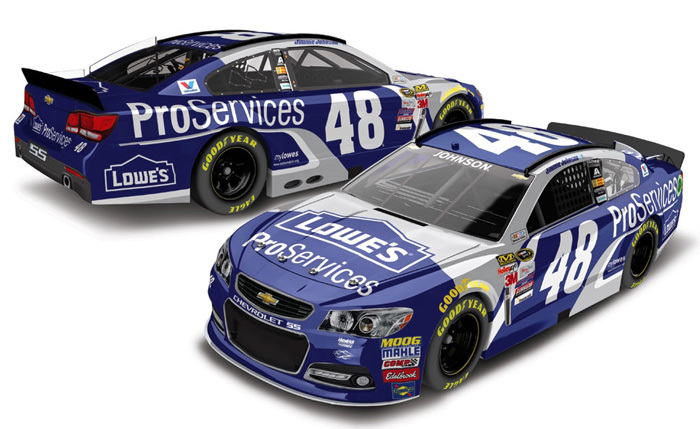 2015 Jimmie Johnson #48 Lowe's ProServices / Chevrolet SS NASCAR diecast, by Action. The Hendrick Motorsports #48 Lowe's ProServices Chevrolet SS was raced by Jimmie Johnson in 8 events during 2015 NASCAR Sprint Cup season. 2015 Jimmie Johnson #48 Lowe's / Patriotic / Chevrolet SS NASCAR diecast, by Action. 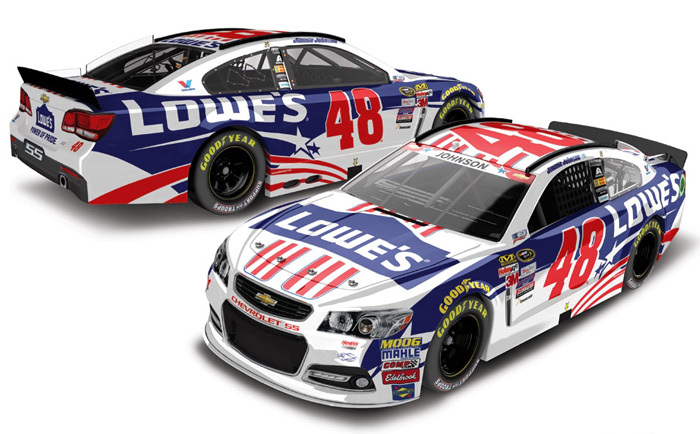 The Hendrick Motorsports #48 Lowe's Patriotic Chevrolet SS was raced by Jimmie Johnson in select events during the 2015 NASCAR Sprint Cup season. 2015 Jimmie Johnson #48 Jimmie Johnson Foundation / Chevrolet SS NASCAR diecast, by Action. 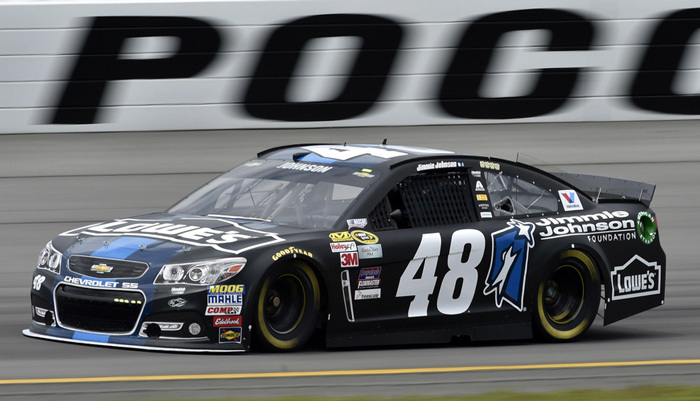 The Hendrick Motorsports #48 Jimmie Johnson Foundation Chevrolet SS was raced by Jimmie Johnson in the NASCAR Sprint Cup, Axalta "We Paint" 400 at Pocono Raceway on June 7, 2015. 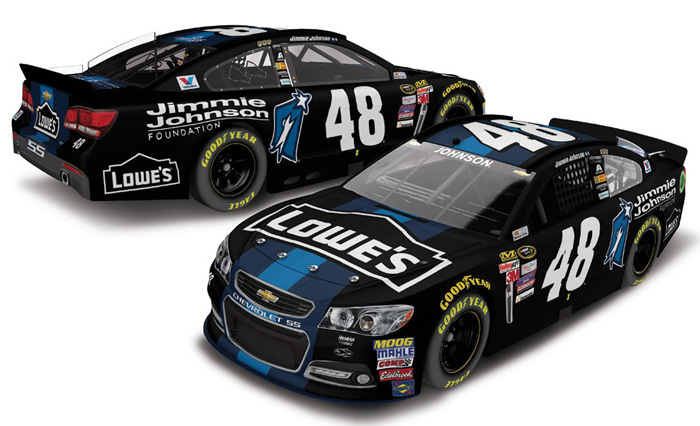 2015 Jimmie Johnson #48 Lowe's / Darlington Throwback / Chevrolet SS NASCAR diecast, by Action. 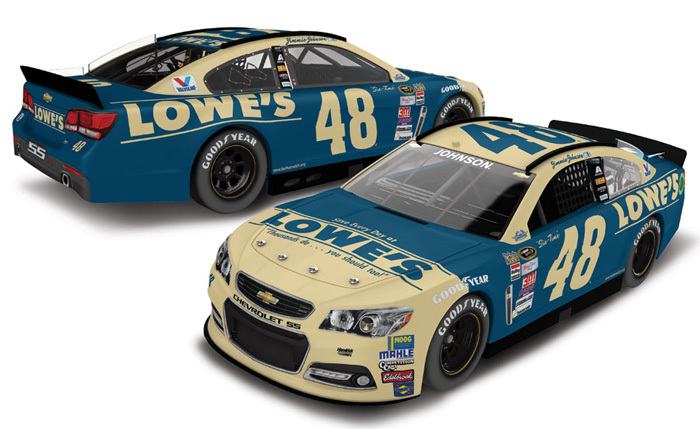 The Hendrick Motorsports #48 Lowe's Darlington Throwback Chevrolet SS was raced by Jimmie Johnson in the NASCAR Sprint Cup, Bojangles' Southern 500 at Darlington Raceway on September 6, 2015. This car will featured a matte finish paint scheme with a Lowe's logo from the 1940-60s. 2015 Jimmie Johnson #48 Lowe's / Red Vest / Chevrolet SS NASCAR diecast, by Action. The Hendrick Motorsports #48 Lowe's Red Vest Chevrolet SS was raced by Jimmie Johnson in the NASCAR Sprint Cup, Bank of America 500 at Charlotte Motor Speedway on October 11, 2015. 1998 Jimmie Johnson #59 Kingsford / Match Light / Chevrolet Monte Carlo NASCAR diecast, by Action. 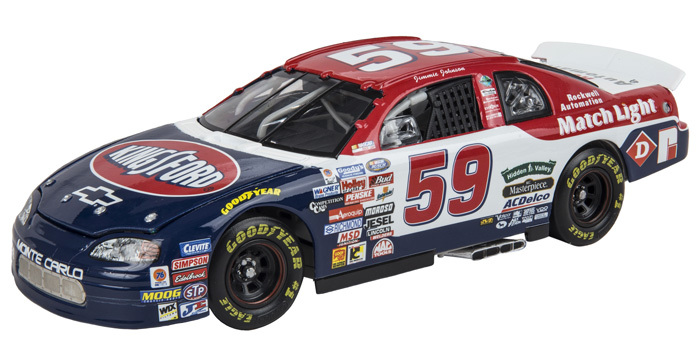 The ST Motorsports, now JTG Daugherty Racing #59 Kingsford Match Light Chevrolet was raced by Jimmie Johnson in 2 events during the 1998 NASCAR Busch Series season. This diecast car is part of Lionel's NASCAR Classics Series. 2015 Erik Jones #20 GameStop / Toyota Camry NASCAR diecast, by Action. 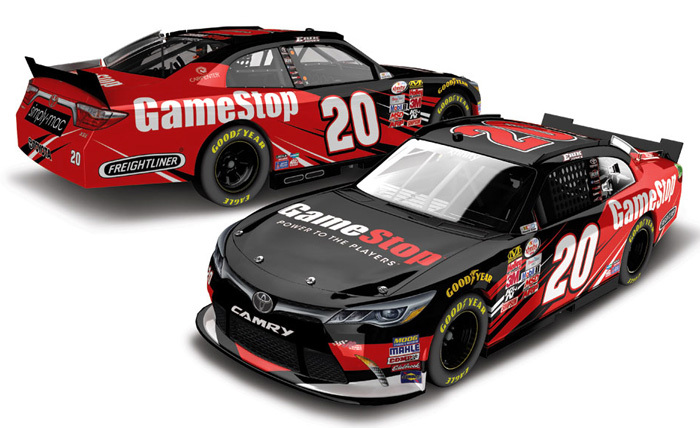 The Joe Gibbs Racing #20 GameStop Toyota was raced by Erik Jones during the 2015 NASCAR xfinity Series season. 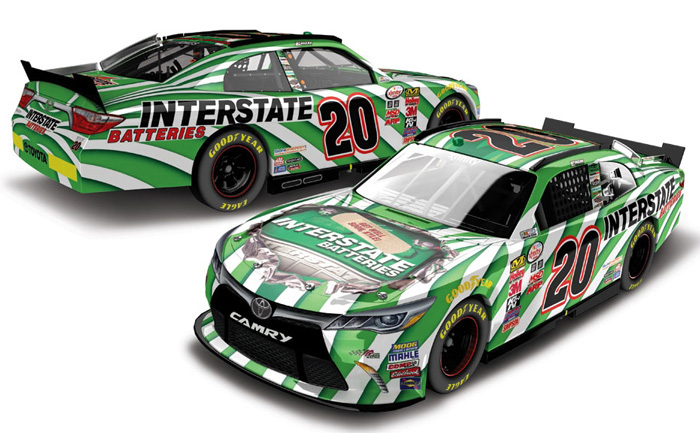 2015 Erik Jones #20 Interstate Batteries / Toyota Camry NASCAR diecast, by Action. The Joe Gibbs Racing #20 Interstate Batteries Toyota was raced by Erik Jones in the NASCAR xfinity Series, Boyd Gaming 300 at Las Vegas Motor Speedway on March, 7, 2015. 2015 Kasey Kahne #5 Great Clips / Chevrolet SS NASCAR diecast, by Action. The Hendrick Motorsports #5 Great Clips Chevrolet SS was raced by Kasey Kahne in select events during the 2015 NASCAR Sprint Cup season. 2015 Kasey Kahne #5 Time Warner Cable / Chevrolet SS NASCAR diecast, by Action. The Hendrick Motorsports #5 Time Warner Cable Chevrolet SS was raced by Kasey Kahne in select events during the 2015 NASCAR Sprint Cup season. 2015 Kasey Kahne #5 Aquafina / Chevrolet SS NASCAR diecast, by Action. The Hendrick Motorsports #5 Aquafina Chevrolet SS was raced by Kasey Kahne in the NASCAR Sprint Cup, Windows 10 400 at Pocono Raceway on August 2, 2015. 2015 Kasey Kahne #88 Armour Vienna Sausage / Chevrolet SS NASCAR diecast, by Action. 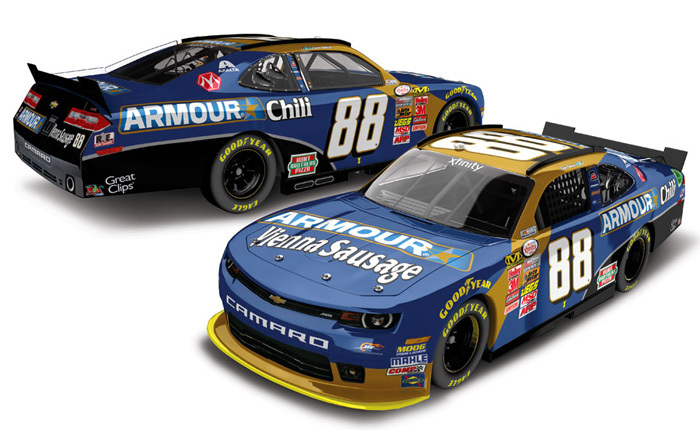 The JR Motorsports #88 Armour Vienna Sausage Chevrolet Camaro was raced by Kasey Kahne in a select event during the 2015 NASCAR xfinity Series season. 2015 Matt Kenseth #20 Reser's Fine Foods / Toyota Camry NASCAR diecast, by Action. The Joe Gibbs Racing #20 Reser's Fine Foods Toyota was raced by Matt Kenseth in select events during the 2015 NASCAR xfinity Series season. 2015 Brad Keselowski #2 Wurth / Ford Fusion NASCAR diecast, by Action. 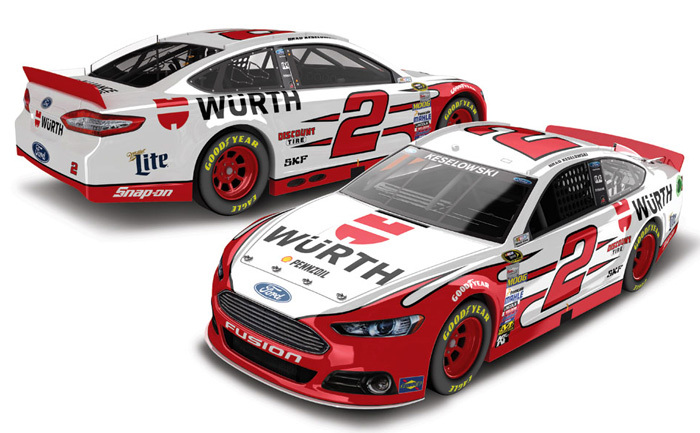 The Penske Racing #2 Wurth Ford was raced by Brad Keselowski in select events during the 2015 NASCAR Sprint Cup season. The 1/64 scale car does not feature the Miler Lite logo. 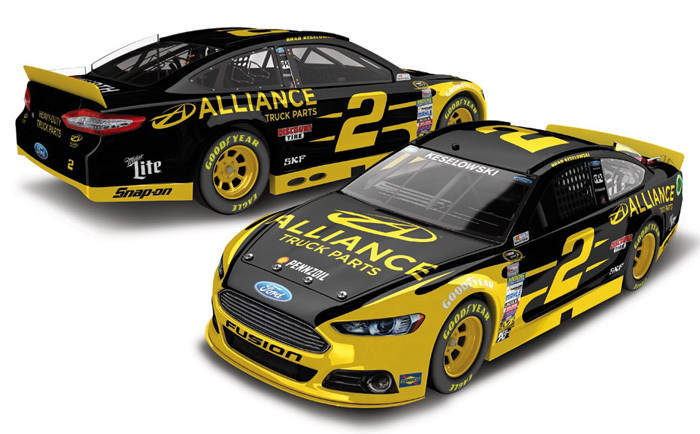 2015 Brad Keselowski #2 Alliance Truck Parts / Ford Fusion NASCAR diecast, by Action. 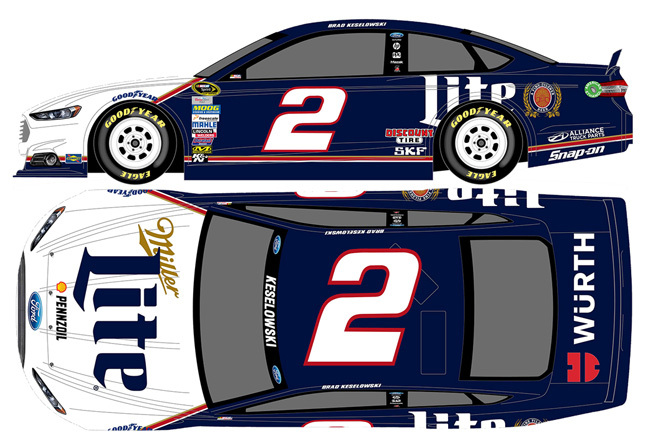 The Penske Racing #2 Alliance Ford was raced by Brad Keselowski in select events during the 2015 NASCAR Sprint Cup season. 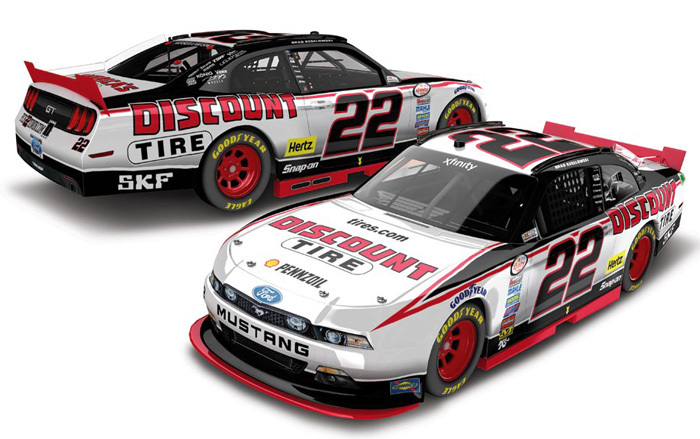 2015 Brad Keselowski #22 Discount Tire / Ford Mustang NASCAR diecast, by Action. The Penske Racing #22 Discount Tire Ford was raced by Brad Keselowski in select events during the 2015 NASCAR xfinity Series season. 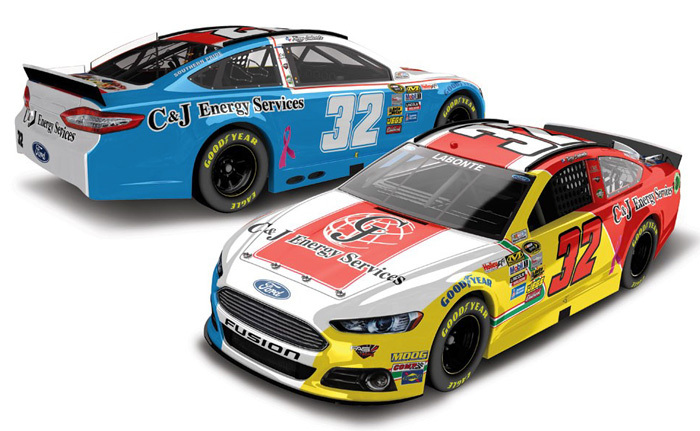 2014 Terry Labonte #32 C&J Energy Services / Last Ride / Ford Fusion NASCAR diecast, by Action. The GoFas Racing #32 C&J Energy Last Ride Ford was raced by Terry Labonte in the NASCAR Sprint Cup, GEICO 500 at Talladega Superspeedway on October 19, 2014. This was Terry Labonte's 890th and final NASCAR Sprint Cup Series race. 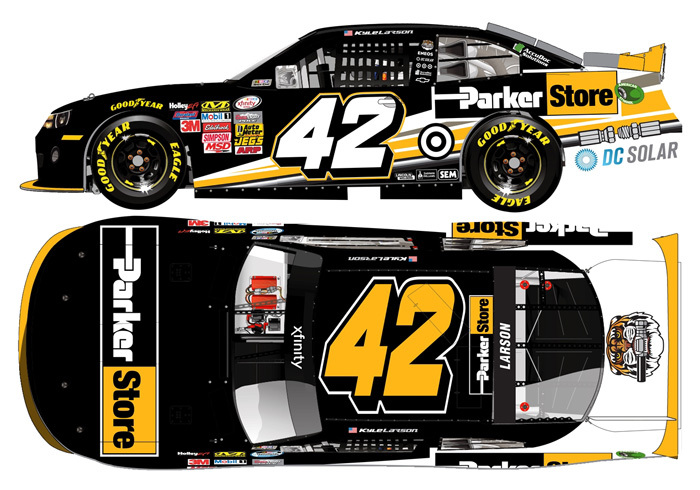 2015 Kyle Larson #42 Parker Store / Chevrolet Camaro NASCAR diecast, by Action. The HScott Motorsports with Chip Ganassi Racing #42 Parker Store Chevrolet Camaro was raced by Kyle Larson in the NASCAR xfinity Series, Great Clips 250 at Michigan International Speedway on June, 13, 2015. 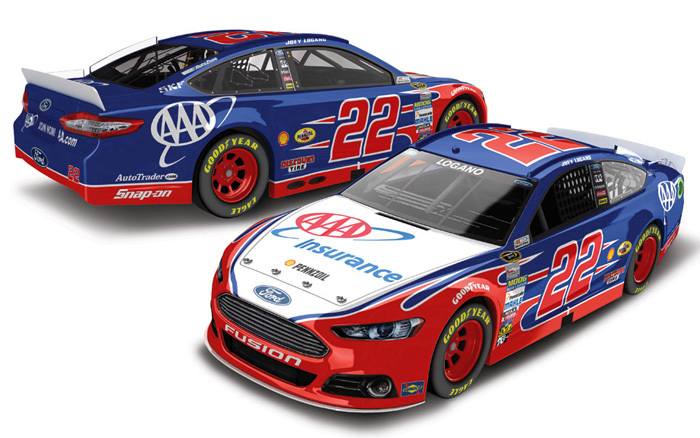 2015 Joey Logano #22 AAA / Ford Fusion NASCAR diecast, by Action. 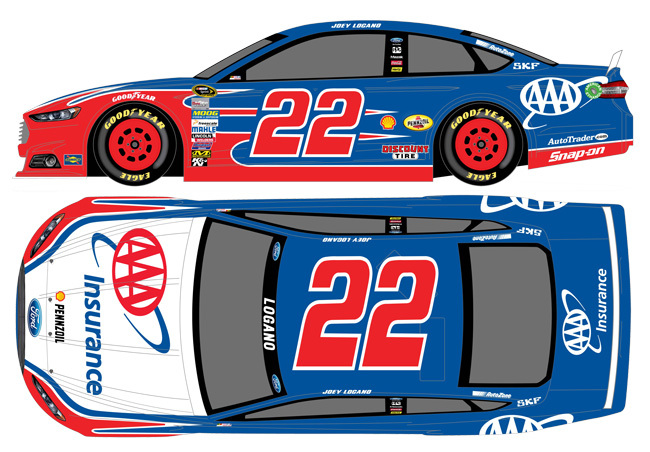 The Penske Racing #22 AAA Ford was raced by Joey Logano in select events during the 2015 NASCAR Sprint Cup season. 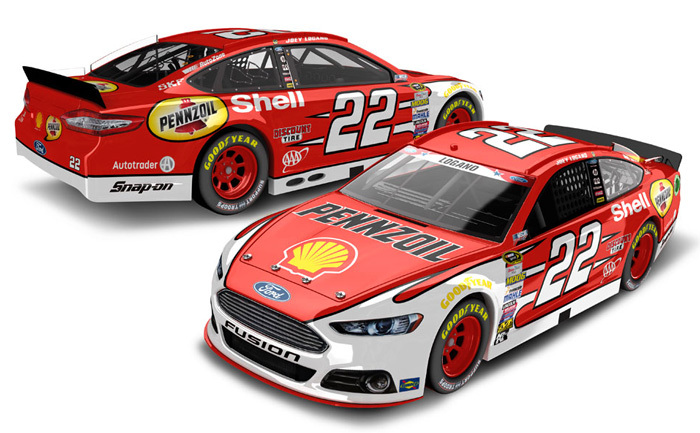 2015 Joey Logano #22 Shell-Pennzoil Red / Ford Fusion NASCAR diecast, by Action. 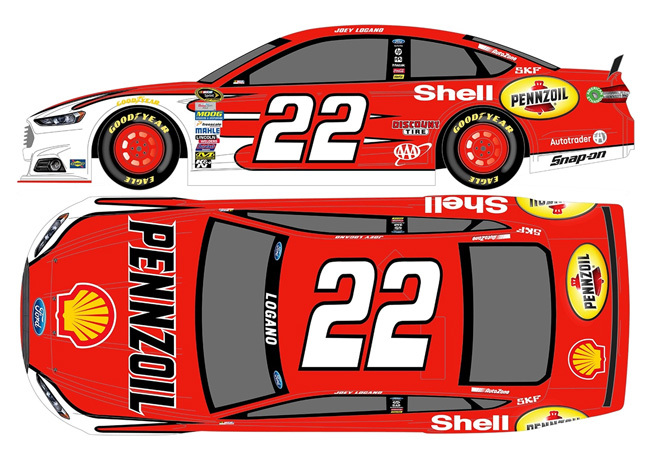 The Penske Racing #22 Shell-Pennzoil Red Ford was raced by Joey Logano in the NASCAR Sprint Cup, Coca-Cola 600 at Charlotte Motor Speedway on May 24, 2015.